Who was Carlos Lehder Rivas? He was one of the founders of the Medellin Cartel. When he was captured, he was one of the principal chiefs of the drug cartel. After Colombian Minister of Justice Rodrigo Lara Bonilla was assassinated, then president of Colombia Belisario Betancur announced that he would be willing to extradite the nation’s wanted drug-traffickers. In 1987, Carlos Lehder Rivas was captured and extradited to the United States. At the time, his arrest and extradition was the hardest to beat drug cartel. He was tried on drug-smuggling and racketeering charges. The American fugitive Robert L. Vesco died in November 2007 in Cuba. He was wanted in the United States for crimes ranging from securities fraud and drug trafficking to political bribery. He was protected by the Castro brothers since 1982. Fidel Castro said in 1985 that Cuba allowed Vesco to come for medical treatment, accusing U.S. officials of persecuting the fugitive. Cuban dictator did not specify the nature of the medical problems of Vesco. A U.S. federal grand jury indictment accused Vesco of working with Carlos Lehder Rivas to win Cuban permission for drug flights over the island. According to the indictment, Vesco obtained approval from Cuban authorities for this arrangement. Cuban Air Force General Rafael del Pino, who defected in 1987, reported that all the planes flying over Cuba that veered off from the approved air corridors for commercial and private aircraft had to be cleared with the office of Raúl Castro at the Ministry of the Revolutionary Armed Forces. 1- Aldo Santamaría Cuadrado. At that time he was Vice Admiral and Chief of Cuban Navy. Then he was a member of the Central Committee of the ruling Communist Party of Cuba. He “would supervise in Cuba the protection and re-supply of ships transporting marijuana from Colombia to the United States by way of Cuba”, according to the indictment. Now in the town of Santa Fe, Havana, Cuba, a junior high school named after him! It’s unbelievable, but true. 2- René Rodríguez Cruz. At that moment he was president of the Cuban Institute of Friendship with the Peoples -often used as a cover for DGI intelligence activities. Then he was a member of the Central Committee of the ruling Communist Party of Cuba. 3- Fernando Ravelo Renedo, who used to be Cuba’s Ambassador in Colombia, and who at that moment are a high official in the Foreign Ministry. He is godfather of the daughter of Colombian drug trafficker Juan (Johnny) Crump. Crump is in the federal witness protection program. 4- Gonzalo Bassols Suárez, who at that time are minister-counselor in the Colombia Embassy. Admiral Santamaría Cuadrado and Rodríguez Cruz were always known to be close friends of the Castro brothers. “Files and a videotape that belonged to slain drug lord Pablo Escobar implicate Cuban leader Fidel Castro’s brother in Medellin cocaine cartel activities, a TV news program reported. The videotape, portions of which were aired by the TV news program QAP on Monday night, showed a man identified only as David pleading with Escobar to let him live after surviving an assassination attempt. Pablo Escobar was the world’s most powerful drug trafficker.In 1987, Escobar controlled an estimated 40% of the Medellin drug cartel’s business, and had accumulated at least $3 billion over the years, Forbes reported. The Castro brothers knew about the activities of their top officers and their coast guard, because in Cuba nothing moves without the knowledge of them. 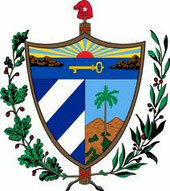 On February 28, 1988, Cuban drug trafficking Reinaldo Ruíz, was arrested in Panama. Reinaldo was the cousin of Capt. 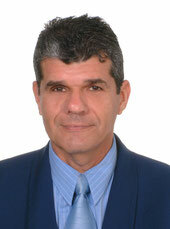 Miguel Ruíz Poo of Cuba’s Ministry of the Interior.Reinaldo and his son Rubén were allowed by Cuban authorities to land their plane at the Varadero Beach airport for refueling after dropping their drug cargoes off the Cuban coast near the Bahamas. Drug smuggling fast boats would come from Florida to pick up the cargoes. Cuban coast guard radar monitored U.S. coast guard cutters and helped the fast boats evade them. On April 10, 1987, Reinaldo Ruíz launched his first cocaine smuggling operation through Cuba with American co-pilot Richard Zzie. The conspirators were to fly three hundred kilos of Colombian cocaine into Varadero packaged in Marlboro cigarette boxes, transfer them to speedboats and ship them off to Miami. The returning plane was to fly clean, the drugs aboard the speedboats. A Cuban MiG had escorted the original flight into Cuba. On a second drug run Reinaldo Ruíz hired another pilot, a former nationalist Chinese air force pilot by the name of Hu Chang. Unbeknownst to Ruíz, Chang was a DEA informant who ran a small air taxi operation at Miami International Airport. Working with DEA agents, Chang and Ruben Ruíz picked up five hundred kilos of cocaine in Colombia and flew to Cuba. They landed at Varadero on May 9, 1987. As in the previous operation, the cocaine was unloaded, taken to the Cuban Coast Guard safehouses and loaded onto the Miami bound speedboats. At the end of the mission Chang was debriefed by DEA. Reinaldo Ruíz eventually paid Chang $100,000.00, later turned over to DEA agents. As part of the investigation DEA agents started videotaping Chang’s office. Fifty hours of videos during the next few months iced the Cuba case. There were multiple discussions about high ranking officials and protection by the Castro regime. Important names were thrown about. Raúl and Fidel Castro’s names kept coming up. Rubén Ruíz bragged about flying into military runways. On April 23, 1989, Reinaldo Ruíz (who died of a heart attack on New Year’s Eve in 1990) and Rubén were convicted of drug trafficking. Two months later, on June 12, Division General Arnaldo Tomás Ochoa Sánchez was arrested in Havana. It was performed a drug-smuggling show trial: Fidel Castro betrayed two of his closest associates and sentenced them to death. I invite you to watch the video that show the show trial. Besides, Raúl Castro appeared on live television and gave an emotional speech. One month later, on July 14, after of a trial of the type of the ‘Moscow Trials’ of the 1930s, Division General Arnaldo Ochoa Sánchez was shot with Colonel Antonio ‘Tony’ de la Guardia and Captains Antonio Padrón and Jorge Martínez. One month later, on August 26, the trial begins against Fidel Castro’s trusted right hand, Division General José Abrantes Fernández, who headed the Ministry of Interior, the Cuban KGB. Seven were jailed for lengthy terms, including General Patricio de la Guardia and Division General Abrantes. Abrantes died in prison just two years later. President Varela, everything indicates that the main purpose of the trials was to protect to Castro brothers from new revelations in U.S. courts about the relations between they and the Medellin cocaine cartel. I invite you to read Castro’s Final Hour, by Andrés Oppenheimer, an Argentine journalist whois the co-winner of the 1987 Pulitzer Prize. On December 20, 1989, three months after of the trial against Division General José Abrantes Fernández, occurred the American invasion to Panama, code-named Operation Just Cause. The dictator Manuel A. Noriega was captured and brought to the United States for trial. He was convicted on charges of racketeering, money laundering and drug trafficking. President Varela, you know that Fidel Castro “severely damaged the Panamanian people. He supported Noriega knowing full well that he was a dictator Papa Doc Duvalier style: corrupt and cruel”. I repeat to you my invitation to read The process of political protest in Panama, 1968-1989, by Brittmarie Janson Pérez, a Panamanian anthropologist. Excuse me,have you received my emails? It is thethird timeI write you about the Summit of the Americas. Why do not you answer me? President Varela, I repeat the second email I sent to you. Can you answer my request please?